The Banff Community Plan was developed by Banff residents. It sets the values that guide our decision-making and tells us how we will meet the challenges of the future. Town council adopted the Community Plan in 2008. 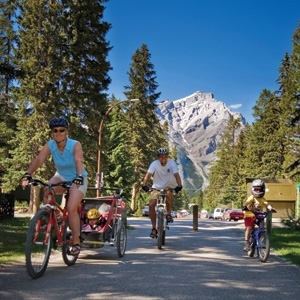 Every year, Town Council sets strategic priorities aimed at achieving the objectives of the Banff Community Plan. Each year, the Town produces an annual report that measures various indicators outlined in the plan. As we monitor and track our progress in achieving the vision, we are able to adjust our actions and behaviour as needed. The first year of reporting was 2009.